Kailana from The Written World and Marg from Reading Adventures are very pleased and excited to announce that we will once again be running the Virtual Advent tour this year. 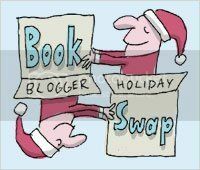 This is the fourth year that we have hosted and we hope that the event has become an integral part of the book blogging community's holiday traditions. The Virtual Advent tour first started when we pondered why should the kids get all the fun of opening a box on the advent calendar and finding a treat in there, and how could we have some blogging fun with a similar concept? So the Virtual Advent tour was born. 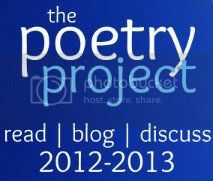 Each day anyone who wants to participate takes turns sharing a treat with our friends here in blogland. For example it could be something about your family traditions, recipes, your country's holiday traditions, or a favourite Christmas memory, movie, book, song...anything you like. Even if you don't celebrate Christmas we would like to hear about what your family does during the holiday season, whether it be celebrating Hanukkah or Kwanzaa or whatever it is that you do during this time. If you are interested in signing up, then please sign up using Mr Linky below. If you want a specific date, then please include that along with your name. If you don't need a specific date, then we will allocate a date to you. We will create a list of links so that as people express interest we will add them to the list, and then each day during the tour we will post a link directing visitors to the appropriate blog. The tour will get away on Tuesday 1 December and run through until December 24. If there are more people than there are days that's fine too.....the more the merrier! It just means that there will be more than one blog to visit on those days. If you would like to get some idea of the kind of things that people have posted about in previous years, click on this link. We also have buttons! Feel free to snag one of our gorgeous buttons from here, and you can follow us on Twitter as well. A special thanks to Jason who was nice enough to design our website for us! Also, thank you Court for the gorgeous buttons! I am definitely interested in taking part this year. Thanks for hosting, Marg and Kelly! Literary Feline: Glad you are joining in! We are very excited to have people signing up already! Thanks for your support! Hi guys! Kelly, as you suggested what Jason and I should do for this, I only request that you give me a Monday date. It doesn't matter which Monday. We just need a Monday. Thanks!! Yay, holidays! Decorations! Snowflake-themed things! I am so excited and this seems like a very cool idea! Woot! Amanda: I will give you a Monday then! Cat: Glad you are excited and joining in! I'm not showing up on Mr. Linky. Do you want me to re-submit my entry? Looking forward to this. I'd like 1st December if poss. Aloha! 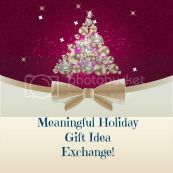 I love the holidays and look forward to participating. When I signed up I forgot to ask if I could go after December 3. I'm leaving in a few days for Australia. Best Wishes and Happy Holidays. I'll give it a go. I have no idea what I'll write about (or maybe one small idea). I don't mind when I post. 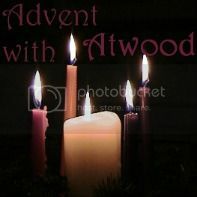 I love the Advent season with all the different celebrations. I would like Dec. 5th. That's the day I get ready for St. Nicholas Day. Thanks for doing this. It will be fun! I'm not sure if Mr. Linky took my name but I would love to participate if there's still room! Lovely buttons for the challenge, too, by the way. Sounds fun, I'd ,ove to share with the Americans about our Boxing day and what it is etc. This sounds like a wonderful idea. I just signed up! I am looking forward to participating. I have lots of great memories of the holidays. It's a fantastic idea and if it's still possible I'd love to do Dec. 6th and Dec. 24th. Thanks guys. I live in US but I am Polish so on Dec. 6th we celebrate Saint Nicholas day (the Santa Claus) and traditional Polish Christmas Eve dinner is also something quite different (with 12 non-meat dishes and animals speaking in human tongue). I'll go for any date. I signed up for my own blog (Countercultural Mom) as well as for Mentoring Moments for Christian Women, where I am an editor. MMCW does a 12 Days of Christmas series each year, and it would be great if we could get a day during the first half of the month, when our series is running. As for my personal blog, any date is fine. Thanks!! I'll go for any date too. I only request that I not be assigned weekends, since I don't normally blog on weekends. Thanks! This is a terrific idea. Looking forward to it - and any day works for me. Thanks Kailana and Marg! This will be a lot of fun again. Looking forward to it. Hurray! It's here! I'm so excited! I've just signed up, and I've blogged too about it. I'll let you know what day I want,by tomorrow. Thanks so much Marg and Kailana for doing this again! May I please change my date? Scanner has broken and I won't be able to get the images I want in time for the 1st. I'd like to switch to the 23rd if poss, otherwise any date after the 15th. Marg, thank you so much. This looks like fun! Thanks for hosting! I'm not sure how to sign up for a date, but I would love to blog on December 5. I will be reading children's picture books about Christmas. I will be blogging about that all day on Saturday. I have added you to December 5 Readerbuzz! This is so cool!! And I am better late than never :) My blog is an advent calendar in December, so readers can open "a door" every day through the 25th. My sister and I would like to participate on the 13th. We are late again this year, sorry. Maybe next year will be on time. Is it too late to join in? Would love to post about Sinterklaas (Dutch Christmas).